Wine Touring Excellence at its very best. We have created an itinerary that is affectionately known in our company as the “Friends & Family Tour” – as these are the places we would take those near and dear to us. 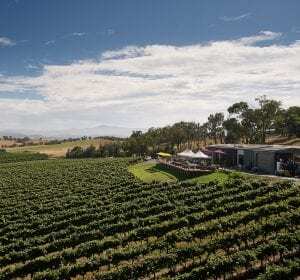 Outstanding scenery with wines to match and only an hour from Melbourne CBD. 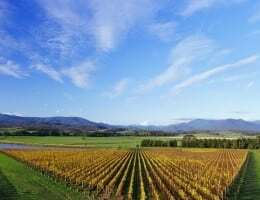 Our driver/guides are friendly and knowledgeable wine experts that help guarantee a superb day in the Yarra Valley. 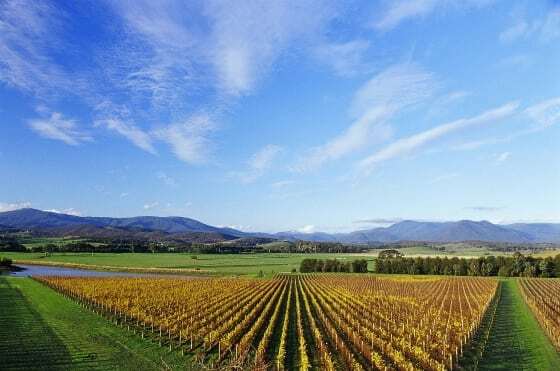 Immerse your senses in our itinerary or we can customise with specific wineries or attractions in the Yarra Valley that you may be keen to visit. Let us know and we can tailor an experience to ensure your day comes off just the way you like it. Read further for popular options. Healesville Sanctuary – explore a bushland haven for Australian wildlife. 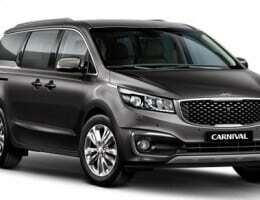 This is a Private Tour service and we do not add other guests to your tour. 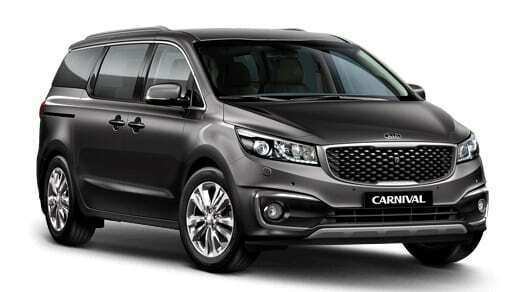 The Vehicle is a Kia Carnival Platinum or equivalent and has a licensed capacity of up to 6 passengers. This tour operates on demand and is subject to availability. We can also provide this same great service to larger groups so groups over 6 passengers should refer to our private group page. 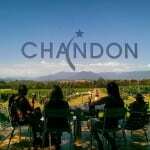 Start the senses going at French Champagne company Moet & Chandon’s Australian production house Domaine Chandon. 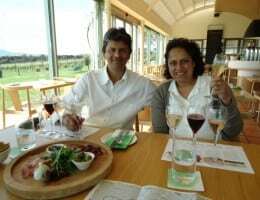 Your guide will take you for a fascinating walk through the winery explaining the nuance of Sparkling Wine Production. 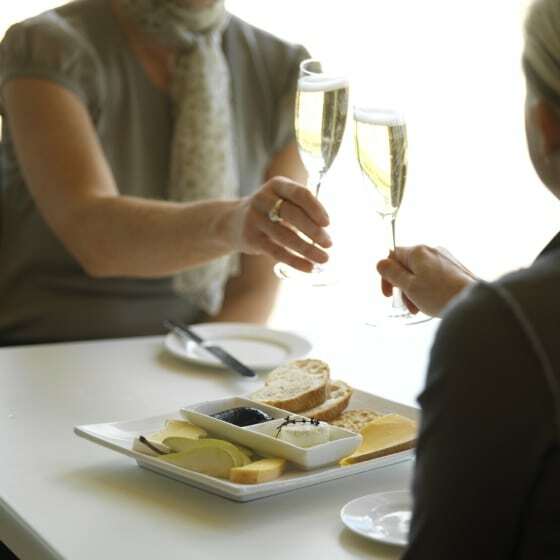 Then enjoy a relaxing glass of Australia’s best bubbly and a view that you will not wish to surrender. If sparkling wine is not your thing, fear not, they also have a fantastic range of premium still white and reds to choose from. It is said that ‘great wine is made in the vineyard’ and at Soumah this is true to their philosophy with a location that delivers with spectacular undulating topography, ancient soils and well tendered vines. This charming venue incorporates the elegance & honesty of Northern Italian wine styles and food as its inspiration. A hidden gem, located down a county lane in the dress circle Coldstream Hills foothills of the Yarra Valley. Wine tasting before lunch is the perfect way to match a style with your meal. 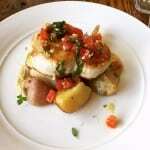 Inclusive of one course lunch with a glass of wine and tea or coffee. This vineyard winery is a stunning, regionally distinctive and award-winning property. Nestled in the foothills of the Yarra Valley Warramate Hills this cellar door offers a unique range of wines. You are sure to be surprised and delighted by the varied and extraordinary wines on offer. Enjoy a relaxing wine tasting whilst soaking in the stunning views from the Helen and Joey deck. Yering Station’s historic winery building (circa 1859) with its rustic charm, high ceilings and white painted, hand-made brick walls, operates as both a tasting room and a contemporary art gallery. 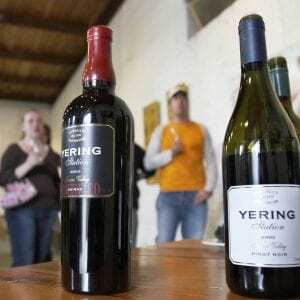 Cellar Door and Wine Store offer visitors the opportunity to taste and reflect upon a range of Yering Station wines. The educational nature of our tastings encourages visitors to learn the language of wine in a relaxed welcoming environment. The Yering Station Art Gallery is committed to exhibiting the work of both established and emerging Australian artists and the exhibitions are located in the Main Gallery on the ground floor.